Very Good. 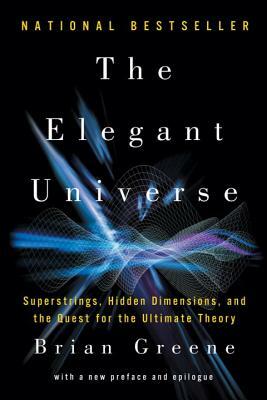 The Elegant Universe: Superstrings, Hidden Dimensions, and the Quest for the Ultimate Theory by Greene, Brian, 2004-09-02. Trade paperback (US). Glued binding. 464 p. Contains: Illustrations. Fair. [ No Hassle 30 Day Returns ] [ Edition: first ] Publisher: W. W. Norton & Company Pub Date: 10/11/2003 Binding: Paperback Pages: 448. Very Good. 039333810X May have light shelf wear.